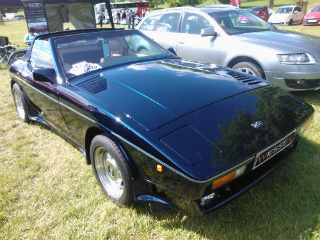 In 1989, the TVR 450SE sports car was introduced, powered by the 4.5 litre, Rover EFI V8 engine. 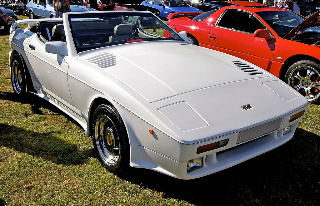 In 1986, the TVR 420SEAC was introduced and was, at that time, one of the world's fastest production cars, with a top speed of 165 mph. 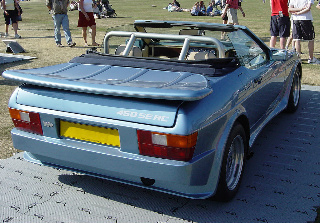 The racing version of this car was so fast that it was actaually banned from the track. 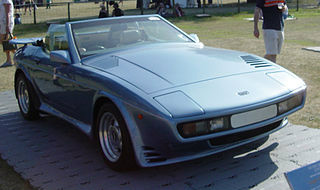 The high performance 400-Series, with their distinctive wedge shape, was ultimately to give way to the flowing lines of the TVR Griffith in the early 1990's, and which introduced a new chapter in the marketing concept of the company. 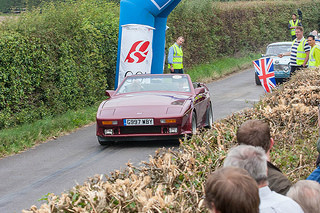 A 1989-90 TVR 450SE in good condition should fetch in the region of £17,000/$27,000.